New year; new me? Maybe. Okay, YES and NO. Let me explain. The new year is always seen a a fresh start, a new beginning but I like to think that any day can be a fresh start. December was an insane month for me. I had a full week of Christmas parties and then events all through out the month so my diet wasn’t exactly the best. I had been eating really well before that and I did eat healthy when not at events so I didn’t do to bad! The new year is hear and I have exactly 1 year till my wedding (!!!!!!!!) so I am really going to focus on my health. So yes this is a new start but it is more of a continuation from last year. Every day is a new start! Dinner tonight was pretty simple, both Justin and I are starting to come down with a cold so I figured we should try and pack in as much nutrients as we can! 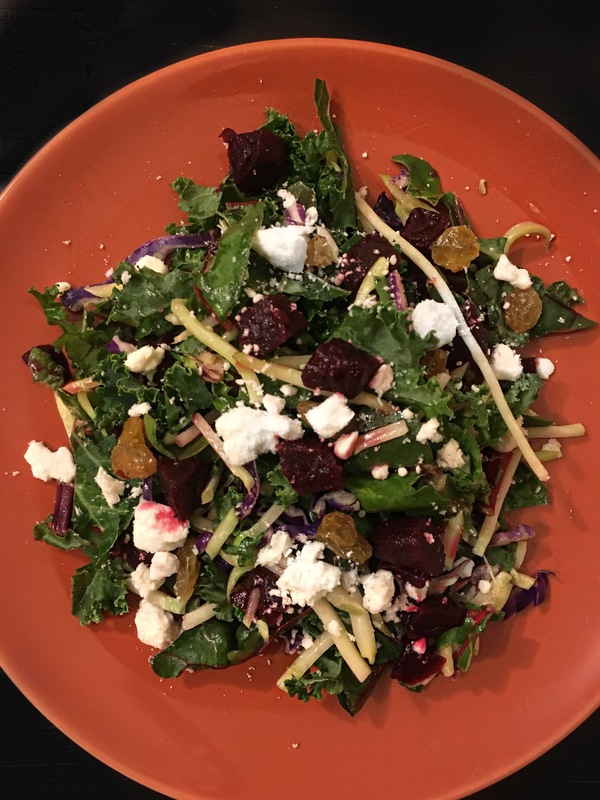 We made one of my favourite salads: Beet & chard salad. Mix it all together an enjoy! It’s fresh, easy and super filling. 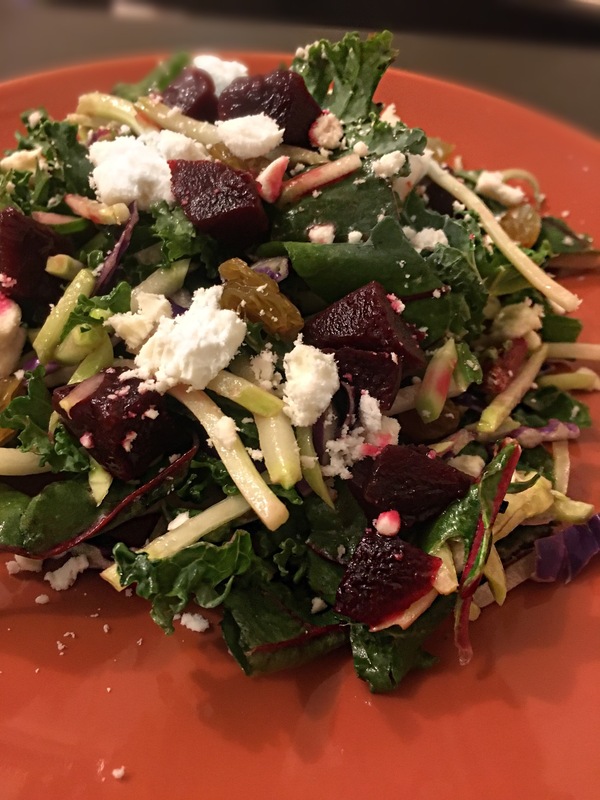 I took the inspiration for this salad from a kit I used to buy at the store but I enjoy the process of actually making it from scratch. By actually making it I am more committed to making healthy choices and it’s easy for me to continue on this path. What’s your favourite go to healthy food? It’s good! If you try it let me know how it goes! !